Malta has some of the most beautiful wedding venues in the Mediterranean. Whether you prefer a garden, seaside or historic wedding venue, with Sarah Young as your wedding planner, you’ll be sure to have your pick of unforgettable wedding venues. Selecting the right venue for your event is important and having been in the wedding business as long as we have, we are well poised to advise and guide you towards the ideal venue for your special day. If you’re thinking of a small, intimate occasion with fifty or fewer persons attending, Malta offers many options for a cosy, romantic wedding. The typical Maltese landscape with its limestone cliffs, sandy beaches and baroque walled cities are unique settings on this sun-drenched island and simply ideal for that perfect intimate sunset wedding. For those who choose to have a grand wedding with more than fifty friends and relations, Malta offers plenty of choice and you can easily opt for a venue that combines romance with utility. The Wedding Planner Malta provides services for larger groups in venues that cater for hundreds of guests at a time. Historic venues in Malta are stunning and romantic with breath-taking views for an unforgettable wedding atmosphere. Malta, being an island in the middle of the Mediterranean Sea offers a set of lovely seaside wedding venues. Luxurious five-star hotels, high-class restaurants and hand-pick wedding venues in Malta for our bridal couples. 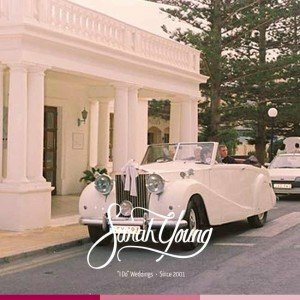 Having planned over 800 weddings in Malta, Sarah Young and her Wedding Planner Malta team are destined to help you plan the perfect dream wedding and make sure you can say “I DO” without having to worry about a thing.